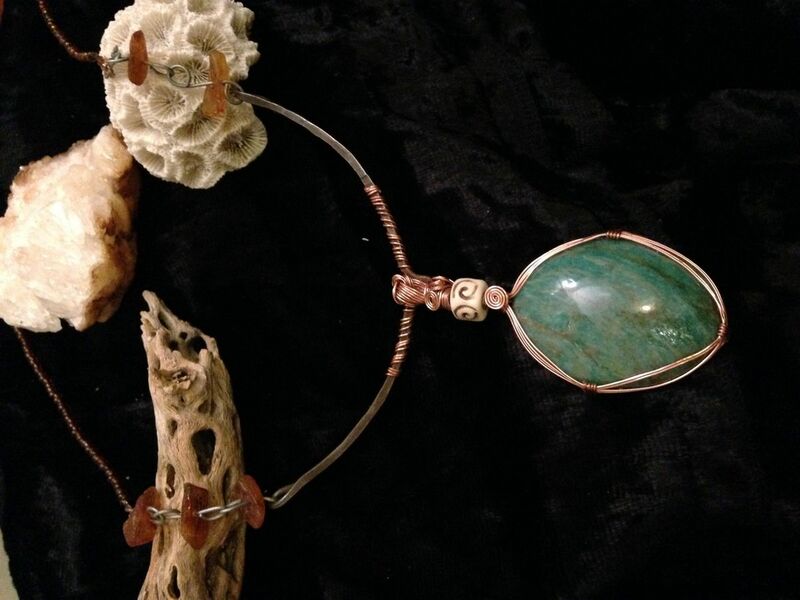 An immaculately cut Amazonite, wrapped minimally in copper-plated wire. A bead of bone bears the symbol of the spiral above it, encouraging the energy of the Amazonite to flow into the upper chakras. The spiral represents time, and I was ...expand text.